Both the 4-mile and the 8-mile race options start and end at Sumner Memorial High School in Sullivan. The course is located on the scenic wooded trails of FBC’s Long Ledges and Baker Hill Preserves. 4-MILE MAP – The 4-mile course covers single track trail at Baker Hill and Long Ledges Preserves. 8-MILE MAP – The 8-mile course covers single track trail at Baker Hill, Long Ledges, and the new Schoodic Connector Trail. It also includes paved and dirt roads. 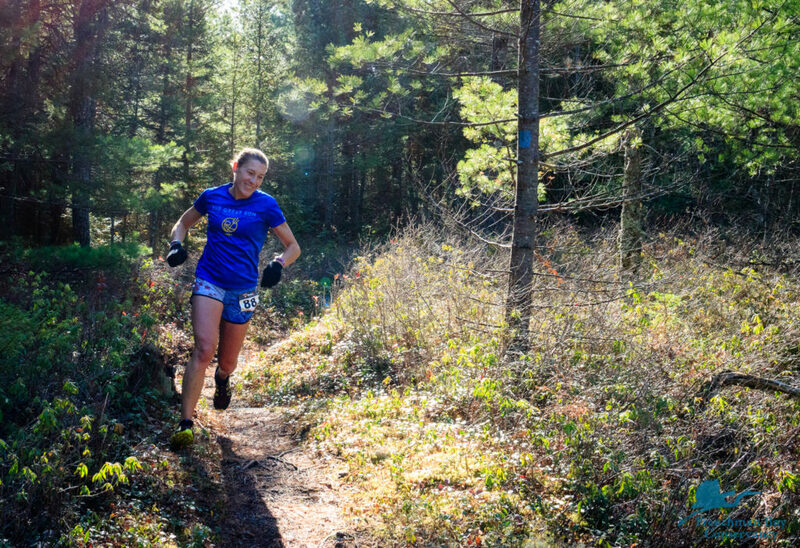 Register for the Autumn Trail Race online! 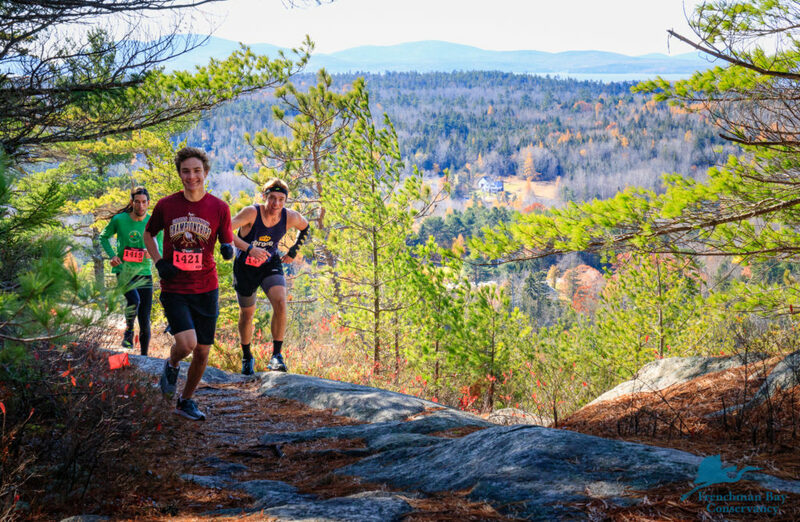 Join Great Pond Mountain Conservation Trust and FBC in the 7th Annual Downeast Double Trouble Trail Race Challenge. Runners with the best times between the FBC 4-mile and the GPMCT 6-mile races will win sweet prizes and their name on the Double Trouble Trophy! Registration for the GPMCT and FBC races is separate this year. Please visit GPMCT’s website in the coming weeks to register for their Wildlands Trail Race. 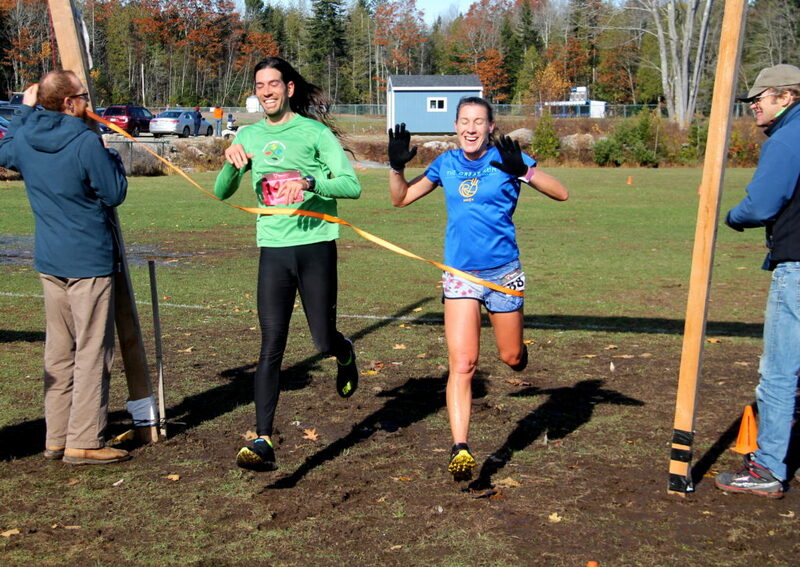 The GPMCT Wildlands Trail Race offers two courses: a 2-mile fun run and a 6-mile challenge run. The race takes place on October 27 at the Great Pond Mountain Wildlands. The Wildlands 6.3-mile course covers dirt roads and single track trail with lovely views, plenty of roots, rocks, and mud. The total climb is approximately 1,200 feet. The 2-mile race goes out the scenic Hothole Brook Trail and back. Race day registration starts at 10am and races begin at 11 and 11:15am. Enter through the south gate on Route 1. 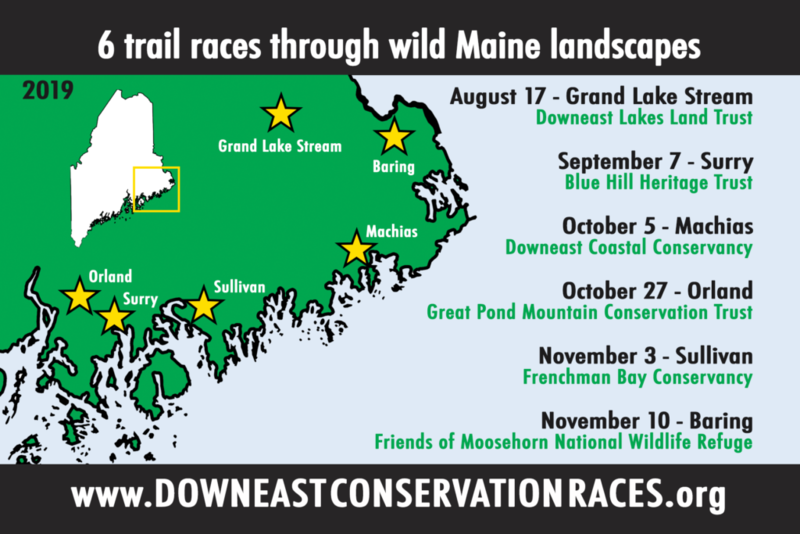 Six Downeast conservation groups joined forces to host the 2nd Annual Downeast Conservation Trail Race Series. Runners who participate in five or more races in this regional series are eligible for special recognition and prizes! Visit www.downeastconservationraces.org to learn more. Online registration for the races in the series closes one week before race day.